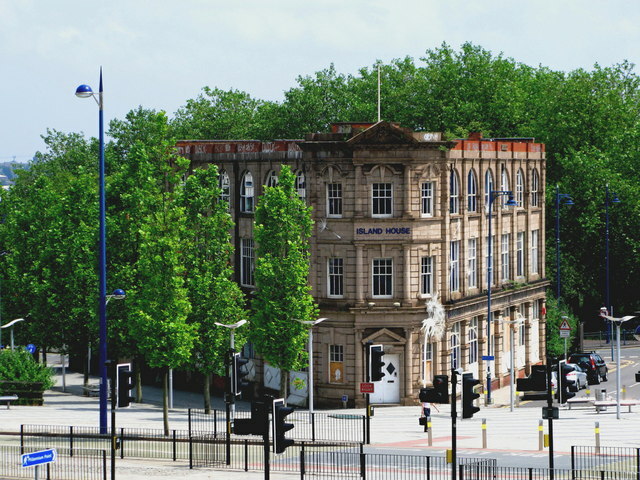 Tomorrow, the planning committee will hear an application to demolish one of the last buildings to survive the demolition job that has been BCC’s “regeneration” of Eastside. Flattening Island House for no good reason sends out totally the wrong signal. Eastside has been decimated already and it’s time that Birmingham learned a lesson that flattening everything and starting again is not always the best way to go about making places better. We really should not allow one of the last buildings of note there to go, too. The original Big City Plan had Island House as an important building leading on to the new city park, but things now seem to have changed – why? Is it something to do with HS2? Luckily, people are kicking up a fuss about this one. 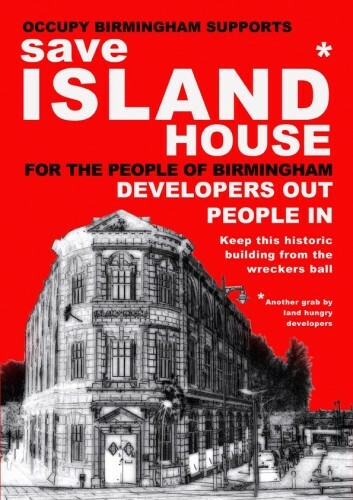 Digbeth Residents are up in arms about it, as are various conservation groups and also Occupy Birmingham, who’ve done the call to arms above. The hearing is at 11am tomorrow and people will be gathering outside the council house to protest. If you are able to come along and show support, that will be really great. Only those who have registered to do so may speak at the planning committee meeting, but public may attend.